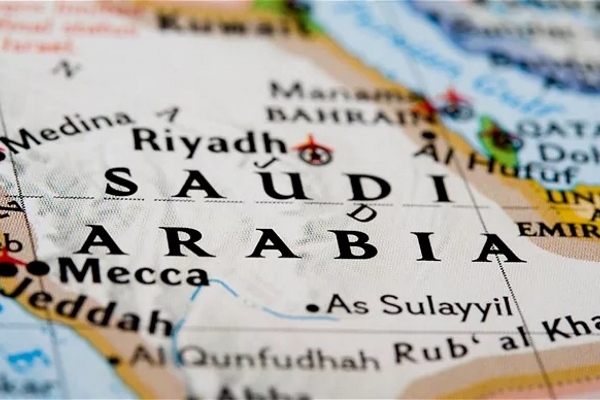 Saudi Arabia's requirement for serialized medicine packs came into effect in March, and when traceability starts it looks set to follow the Turkish track-and-trace model. About the market: Saudi Arabia's pharmaceutical market is one of the largest in the Middle East and North Africa (MENA) region, and is set for dramatic growth thanks to a massive investment programme by the government which will spend $18.5bn over the next 10 years to boost domestic manufacturing infrastructure. The market was worth around $7.5bn in 2015 – so still relatively small on the global stage – but BMI Research predicts it will reach $9.3bn by 2021 thanks to rising wealth levels among the 32 million-strong population and increasing rates of chronic diseases. The growth of the market will however be affected by oil prices, the primary source of healthcare funding. From the perspective of falsified medicines, Saudi Arabia's government has acknowledged that it has a problem with counterfeits in common with other Arabic nations, with the trans-national Gulf Cooperation Council (GCC) estimating in 2015 that up to 35 per cent of circulating medicines were falsified. The MENA region as a whole is a recognised hub for the trans-shipment of counterfeit goods, often en route from Asia to markets elsewhere in the world. Medicine traceability model: In November 2016, the Saudi Food and Drug Authority (SFDA) published an update to the Saudi Drug Code intended to increase patient safety, reduce medication errors and detect counterfeit medicines, as well as facilitating product recalls and withdrawals. From March 12 of this year, all domestically-produced and imported pharmaceutical products intended for human use – prescription and over-the-counter medicines, food supplements and herbal products – have been required to carry a unique serial number coded within a GS1 2D datamatrix. This will also carry other typical elements (the 14-digit GTIN, plus batch/lot number and expiry date). The serial number can be generated internally, but must be no longer than 20 digits. As of now, the presence of the code on the pack is sufficient as an interim stage towards the implementation of the national traceability system. The Saudi government repository to handle transaction data is not set up, neither is the authentication system, and so far there are no official dates for implementation, although at an SFDA workshop last December it was announced that a repository would be set up within 12-18 months. When fully operational the traceability system is expected to follow the Turkish ITS format, with item-level notification and medicines tracked through the supply chain from pharma manufacturer to the end-user. Aggregation – in other words linking the individually coded packs with the codes used on cartons, cases, and pallets used in shipping – is mentioned in the regulations but for now is optional and there is no need to serialize logistics packaging units. It has been suggested that the reporting system will be designed to handle aggregation from the outset. Future developments: The Saudi government expects the system – when fully operational – to allow "accurate, real-time information flow among stakeholders", and industry is now waiting for details on the repository and reporting requirements. It has been suggested that implementation of traceability and reporting will take place in a phased manner - starting with manufacturers and with other stakeholders (wholesalers, hospitals and pharmacies) following later on. There is an aspiration to eventually allow authentication of medicine packs by consumers. If all goes according to plan, it is expected that other MENA countries – including possibly Jordan, Egypt and United Arab Emirates which all have serialization requirements in the pipeline – will follow the country's example. So far all these countries have suggested they will follow GS1 standards for secondary packaging marking, but information on other elements of the traceability programmes are still to be revealed. Which country should we cover in our next serialization snapshot? You can let us know your thoughts here. Just starting out on DSCSA compliance? Forget aggregation!